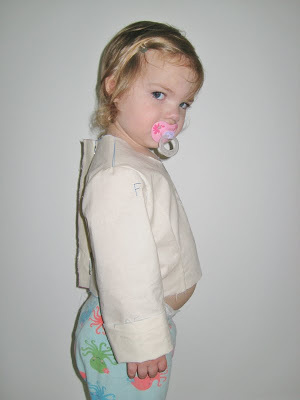 Today I’d like to show you how to use the patterns that we’ve been working on to make a muslin for fitting. I know this might sound dumb, but a Muslin (capital to help explain) is not necessarily made out of muslin (the type of fabric). 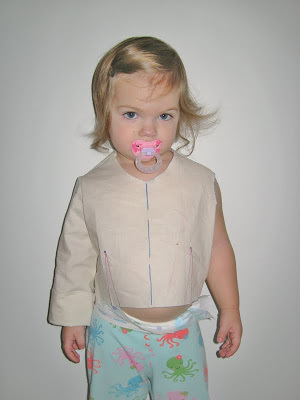 A Muslin is just another way of saying a mock-up or test, and is made out of a cheap version of whatever type of fabric you are using to help give you an idea of how the final garment will fit. 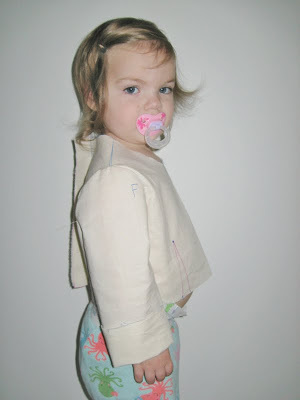 For example, if we were making a pattern for a t-shirt our Muslin would be made out of a knit fabric with a weight/hand similar to our “good” fabric. If we were making a silk blouse, we wouldn’t use a quilting fabric for the test because they wouldn’t drape the same way. We’d use a cheap silk or silk-like fabric. Does that make sense? For what I’m showing you today I really am using muslin, and these 3 patterns (front, back, sleeve) to see if the 3T patterns I’ve been working on will fit my 2T-ish kid. I can already tell at this point that I don’t like the collar and will be changing that a little on the pattern. 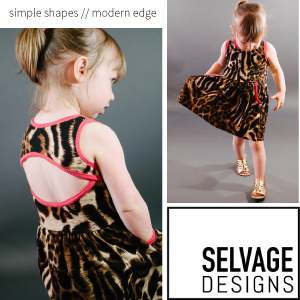 The first thing you need to do is add seam allowance (SA) to your pattern pieces. 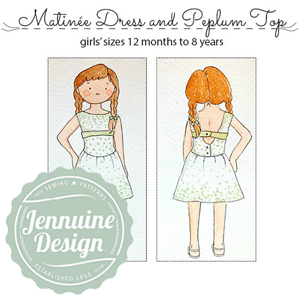 You can do this on paper, or do what I did and trace your pattern directly onto the fabric and add where you need it. 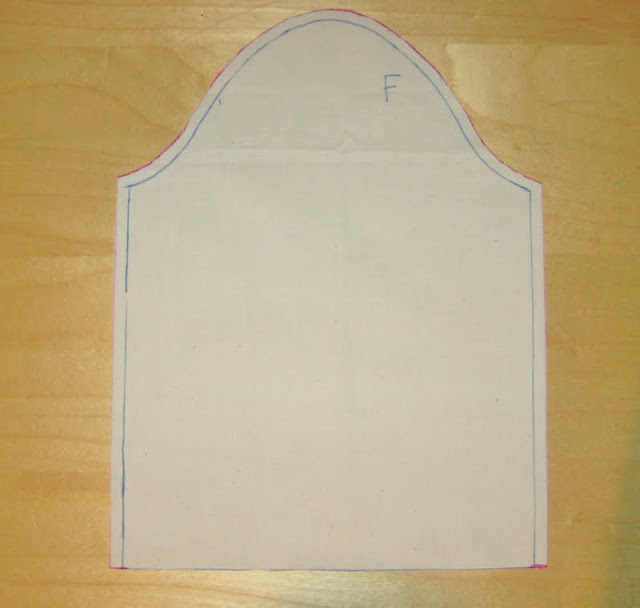 The piece above is the bodice front which I cut on the fold. I only added SA to the shoulder, side seams, and one armhole that I was attaching a sleeve to (not shown because I forgot). I didn’t add anything to the collar and other sleeve, because I wanted to see where the actual line would fall. The letter F designates the front of the sleeve so I put it in the correct armhole. Then I added SA around the sleeve except at the hem. This way I’ll be able to see if the sleeves are too long/short without having to mess with hemming them. 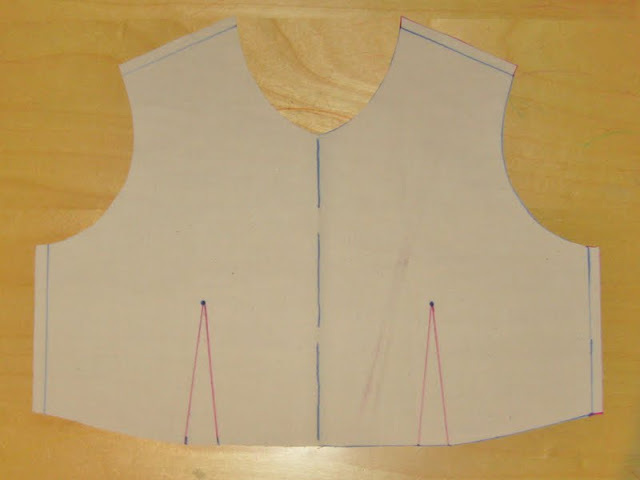 You can cut out 2 sleeves, but for my example I wanted you to see the difference between a sleeve and a sleeveless garment made from this pattern. 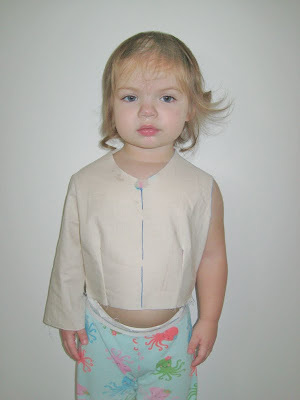 If you are making something with sleeves, adding both will help “weight down” the shirt properly. 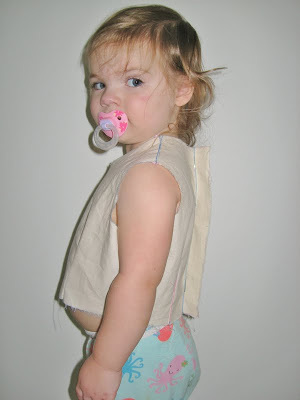 Once you have all your SA added and your pieces cut out you are ready to sew it together! 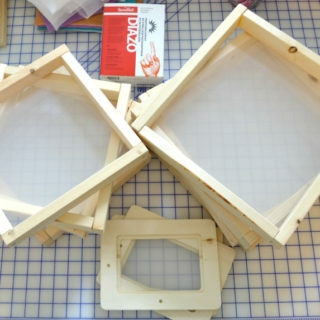 -Lay the front face up and place the 2 back pieces on top face down (one left, one right). 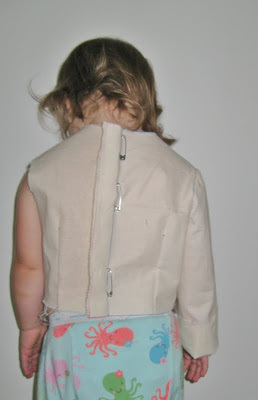 Match up the side and shoulder seams and pin the front piece to the back piece. 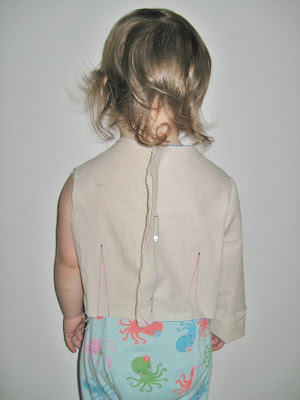 You should have 4 seams ready to sew. (left side, left shoulder, right side, and right shoulder) When those are sewn you will have something that looks like a backwards vest. -The opening between the 2 back pieces (where I added the 1″ SA above) will NOT be sewn together! 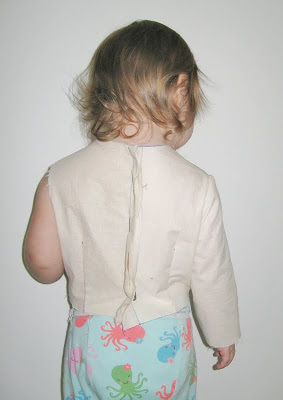 -With right sides together, sew the straight sides of the sleeve together to form a tube. 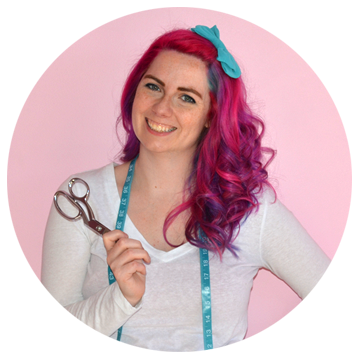 – Pull the baste thread at the sleeve curve until your tube is small enough to match with your armhole. 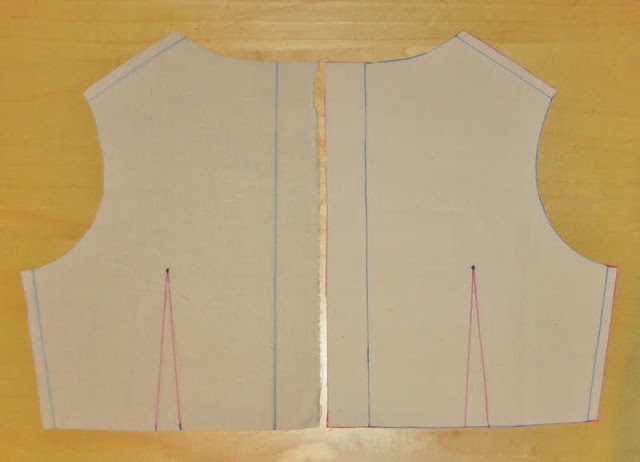 Don’t forget to match up the side seam with the underarm seam. Pin Sleeve to Armhole right sides together. 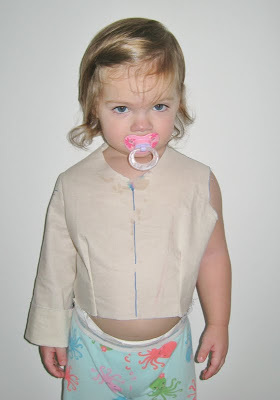 – Sew the sleeve in place and remove the baste stitch. Below I tried to show the difference in fit between the shirt with and without the darts. modify your pattern to “dartless” soon. 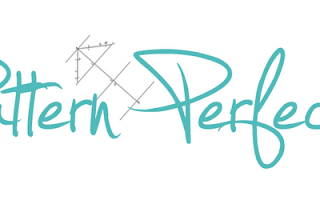 That will help make patterns for knit projects much easier. You can see the definite change with darts here. Here you can see how I pinned the 2 center lines together with safety pins. For this one I cut the extra 2 inches off the sleeves, and also took in both side seams. 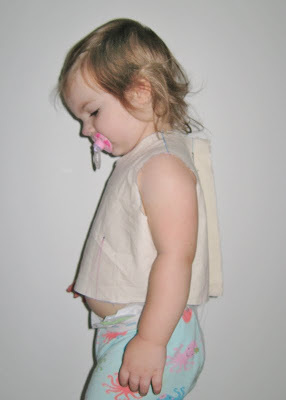 If you plan to make modifications like in the pictures directly above, put the shirt on your kid inside out. It makes it much easier to pin the seams or darts smaller a little at a time until you get it just right. 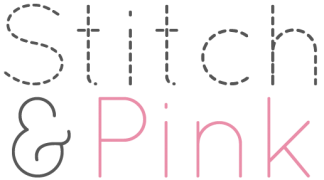 Then you can draw where you want the new seams to go directly on the muslin, take out the pins, pull out the seams, and trace the new lines on the fabric onto your old paper pattern pieces with a tracing wheel. 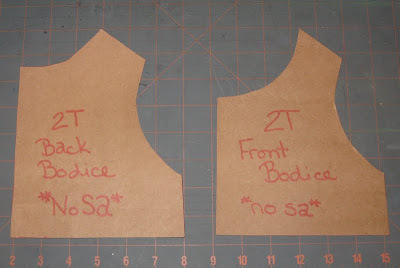 This is not the same bodice, just an example. When everything fits the way you like it, you might want to trace your final pattern onto something stiff like poster board so that it doesn’t get distorted later. I like to use a cereal box for this part. Just make sure to label the pattern pieces with front, back, the size, and whether or not you have added seam allowance. Then you won’t be scrambling later when you forget like I do. I hope this helps, but if you have any questions please let me know. Rain, rain . . . GO AWAY! Do you have any secret (besides the pacifier)? That baby is amazing! God Bless her. Thank you so much for doing this series. 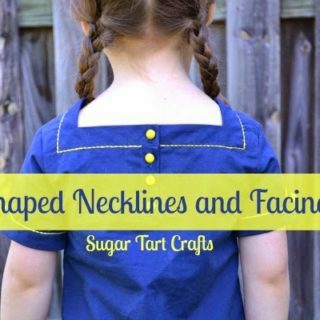 It's been a while since I sewed children's clothes and my grandchildren are not 'standard' sizes so this is a great revision for me without re-attending TAFE :D! Your "model" is wonderful and even though she's not smiling she does look like she's concentrating on standing still and 'just right' for the photos. A big achievement for any child especially one so young. I know I'm very late, but I just discovered this series and was so excited! 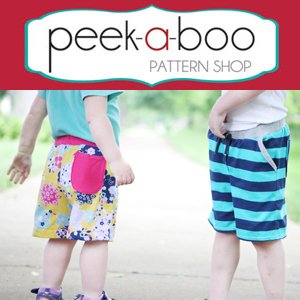 I've been wanting to (a) learn how to draft and (b) be able to sew kids clothes without patterns but without resorting to tracing the clothes they already have (that never works out for me), and this is the perfect solution! So thank you! I was just curious as to whether you had ever done any more in this series, like dartless and/or knit modifications as you mention above. I would love to see that! Okay, now that I've pinned this I am off to actually attempt it! 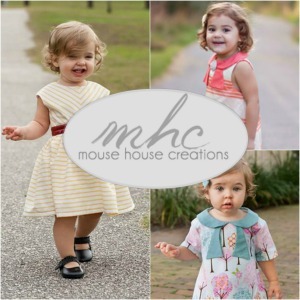 I’m making “princesses” dresses for Halloween for my granddaughters by long distance. Before when I’ve used commercial patterns to sew for them the sizes were way off. I’m very pleased with the outcome of the pattern. Question: does adding seam allowance to the basic pattern give enough ease to fit comfortably, or does more ease need to be added to the final pattern?